It’s approaching the mid-mark of October and still, no deal for William Nylander. On October 5, Ryan Lambert of Yahoo Sports, blogged that William Nylander shouldn’t let Brendan Shanahan talk him into taking less money. There’s a lot of people who feel the same way Lambert does. There are also those who feel Nylander has absolutely no leverage in his negotiations with the Toronto Maple Leafs and that if he thinks he’s worth what he’s asking for — reportedly somewhere in the neighborhood of $8-$8.5. million per season —, he’s barking up the wrong tree. Such comments: “I have to take care of myself” and “It’s my future I care about” suggest, as I wrote in an earlier post, “the huffing and puffing” are representative of salary negotiations these days. 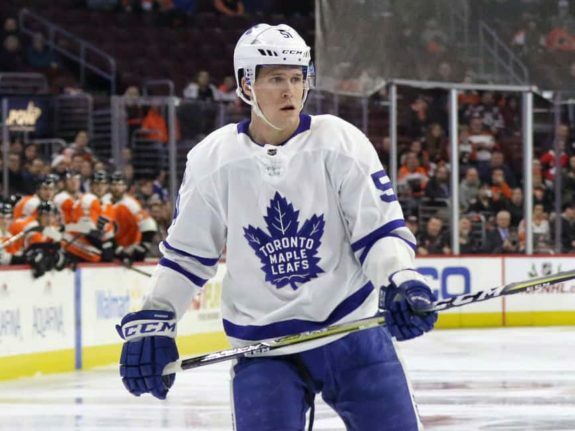 Many believe the advice to wait it out is coming from William’s dad, Michael Nylander, who was well known during his time in the NHL as someone well-versed in contracts and financial matters when it came to his own and other player’s deals. That conversation, between father and son, is probably ending with something similar to ‘whatever you do kid, make sure you get yours.’ And, why not? A professional hockey player may only get one or two chances to sign a lucrative contract and not everyone likes leaving millions of dollars on the table. 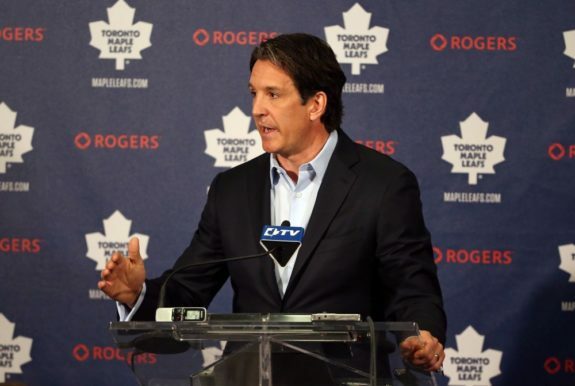 For his part, Brendan Shanahan, the Maple Leafs’ president, has also started negotiating through the press. In his lofty position as both team leader and successful hockey legend, he is quite willing to share moralistic stories of the team-oriented Detroit Red Wings who won all those Stanley Cup Championships because they weren’t thinking about how much they were paid but only how good their team could be. Obviously, Shanahan noted to all, good team players were more than willing to leave a couple million dollars on the table because – well – it’s all about winning championships. Shanahan may be conveniently forgetting there was no salary cap during his era, that he negotiated his way out of two organizations before landing with Detroit and that players like Kirk Maltby tended to get the shaft in pay versus himself, but the head-honcho for the Maple Leafs does have a point in that, if Toronto wants to have any chance of keeping all these young players together, potential hockey stars like Nylander will need to take a discounted deal. This standoff, holdout, stalemate or whatever you want to call it, is nothing more than two sides being completely unrealistic regarding human nature and over-simplifying the game of hockey contracts all while dancing a jig around simple, self-centered greed. On the part of Nylander, he actually believes he’s worth more than he is and from Shanahan’s perspective, he and his general manager believed they could go out and spend an exorbitant amount of money on a player they’re glad they have but didn’t really need (Tavares) and that somehow, everyone else would simply fall in line. Ryan Lambert’s article labels Shanahan’s actions as morally repugnant, putting the squeeze on a young kid like Nylander who is just thinking about his own future and should resist Shanahan’s posturing. That may be a bit much, but there may be some truth hidden in there somewhere. This contract impasse might be less about the actual money involved in the deal and more about the fact, that when all is said and done, Nylander is the one who stands to look foolish. There’s no way to know that Matthews or Marner will take a similar discount, the Maple Leafs certainly didn’t get Tavares for a steal of a deal, and if Nylander caves, takes the $6 million and he’s the only one who gets the shaft, there is absolutely no way this relationship isn’t strained. Shanahan may be trying to shape the optics of this negotiation by indirectly asking Nylander to do what’s best for the team but what he’s really doing is asking the player to help management do their job effectively. They overspent, they’re feeling the crunch and Nylander has the power to help them get things back in line. In reality, Shanahan wants Nylander to be the first, and maybe the only player to take a bullet. Unfortunately for Nylander and the team, he is not the only player Toronto is going to have to work with to get a deal done. 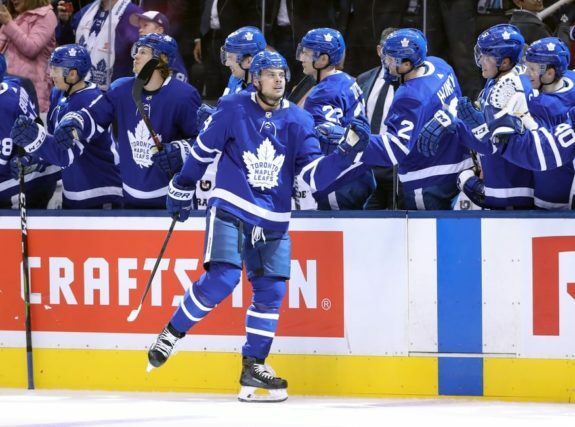 The organization has Auston Matthews, Mitch Marner, Jake Gardiner, and even Frederick Andersen, all whom will need new deals in the next two to three years. 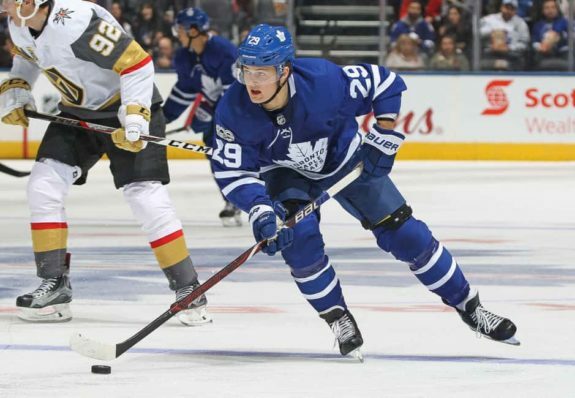 Getting these deals done will be no easy task and as each individual ups their value with their performances this season, perhaps the question to ask is, is the pattern being set in this negotiation with Nylander going to be followed by everyone who comes after? Maybe it’s time to see if Matthews will say ‘me first’. Could an Underlying Problem Develop? If a Matthews deal isn’t done first — thus setting the tone for the other players — Toronto could be faced with a different kind of problem. No right-thinking person could believe that a person or team could be self-centered in one area of life but not self-centered in another area. Such behaviors simply are often lived in all areas. Therefore, self-centered hockey negotiations may show up on the ice. Could there be a situation where two players are skating toward a goalie, one refuses to pass to another who has an open shot because he knows that – next year – his salary will be affected? It sounds childish, but it’s possible. Could a player cheat on defense because offense is what pays the bills? Potentially. Could these same players who are supposed to be teammates begin to compete with each other on-ice because – in the salary-cap world – there really IS a finite amount of money? It certainly could happen. After all, a million in your bank account “steals” a million from my bank account. Nothing about William Nylander’s and the Maple Leafs’ negotiations feel like they are approaching anything that resembles a middle ground. It’s become a battle of “me” first and that’s not good news for the team, for Nylander and possibly for any contract that comes afterward.